The National Agriculture and Trade Show (NATS) Committee, under the auspices of the Ministry of Agriculture, Fisheries, Forestry, the Environment, Sustainable Development and Immigration, hereby informs the public that the National Agriculture and Trade Show 2018 will be held on April 27, 28 and 29. 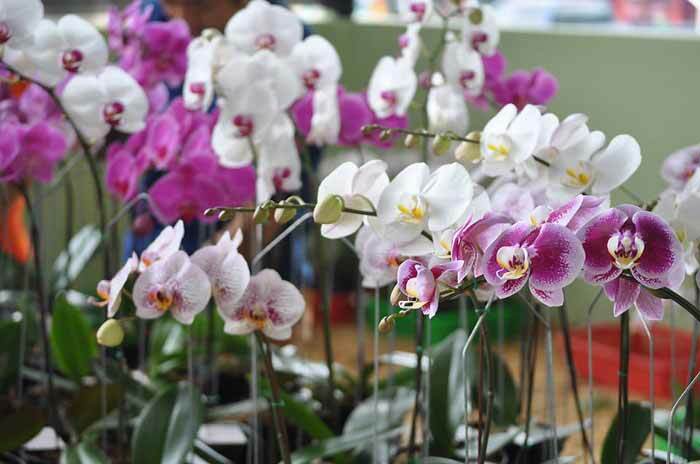 This year’s event will be celebrated under the theme “Let’s Get Growing”. Preparation of the grounds is currently underway and the committee advises that the reservation and sale of concession stands, food stalls, open spots and commercial booths have commenced. The right of first refusal will be granted to 2017 leaseholders and as such those vendors will have until February 9, 2018 to confirm their desire to re-establish their booth leases by contacting us, making a deposit of payment and signing of Lease Agreement. This preference exists EXCEPT where there was a reconfiguration of the grounds and/or removal of booths, in which case that space is no longer available for sale. Effective Monday, February 12, 2018 potential new vendors or those wishing to relocate to a new location will be invited to do so by visiting the NATS Headquarters located on the showgrounds to view available spaces and complete the necessary transactions if so desired. Vendors with down payments will have until April 13, 2018 to complete their payments after which that deposit becomes non-refundable. Looking for something to do this month? 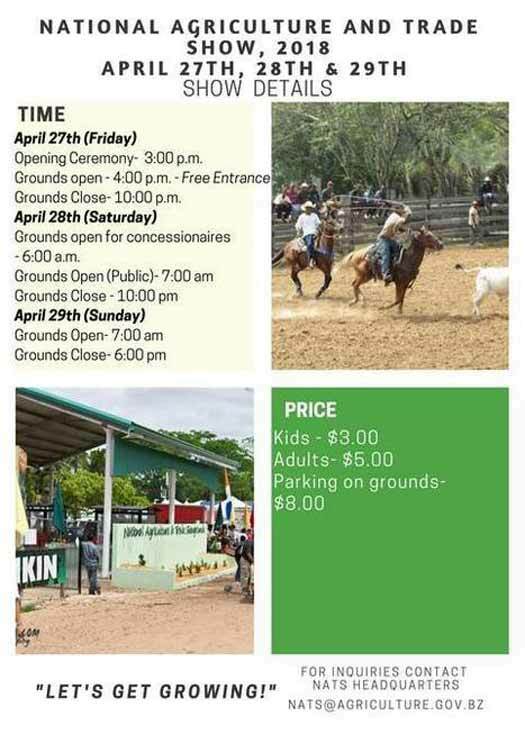 Why not visit the National Agriculture and Trade Show happening this year on April 27th, 28, and 29th of this month in our Capital City of Belmopan. 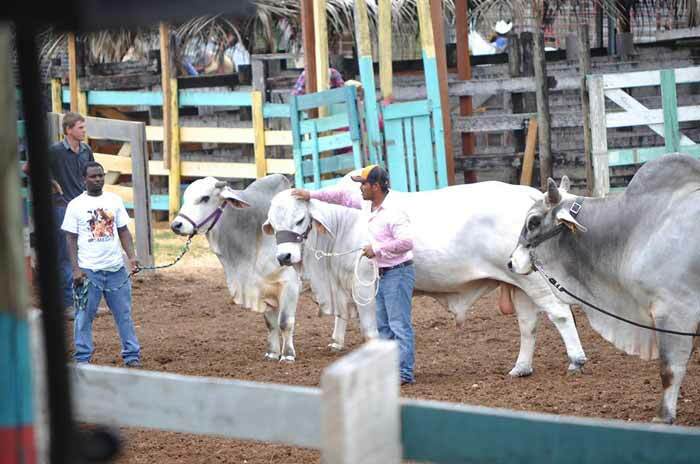 The National Agriculture and Trade Show (NATS) which was established in the year 1970, is an annual public event that is held in Belmopan city, which is the capital of Belize. 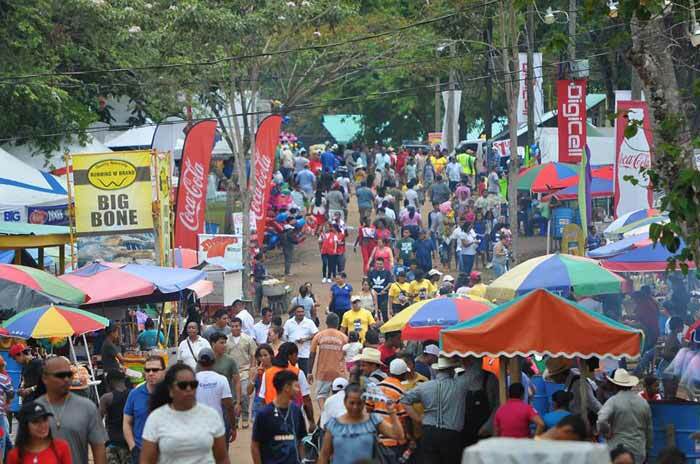 It is a family oriented event created in order for farmers as well as numerous businesses and organizations to showcase and sell their products to the Belizean public. Approximately 40,000 to 45,000 individuals visit the Trade Show over the three days. 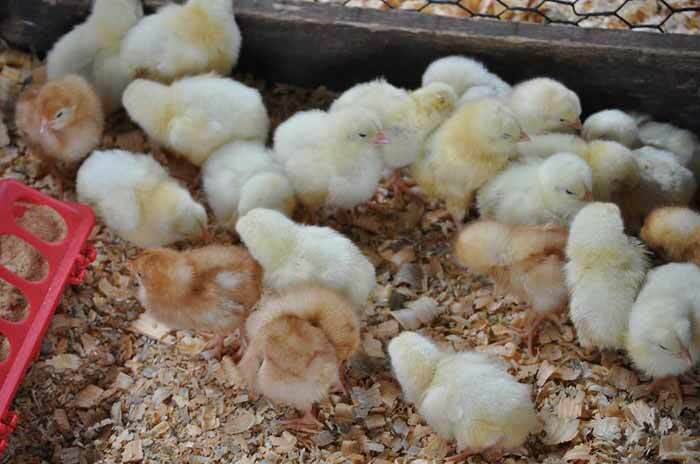 The Agriculture Show grounds spread over 60 acres on the banks of Roaring Creek Village. Love FM's main stage is always the main event of the day where Belize's leading bands perform. With Agriculture being one of the most profitable industries in Belize, The National Agriculture and Trade Show (NATS) focuses on the importance of agriculture through education, by demonstrating how the agricultural sector contributes to Belize's economy. The National Agriculture and Trade Show (NATS) also emphasizes the importance of food security. This event usually occurs near the end of April or on the first weekend of May. This weekend! Here's the schedule! The 2018 National Agriculture and Trade Show is only 3 days away. They have the schedule up. The opening ceremony on Friday is at 3:00pm. This show will have over 100 displays, plants, produce, Made in Belize products, kids friendly rides and many more! 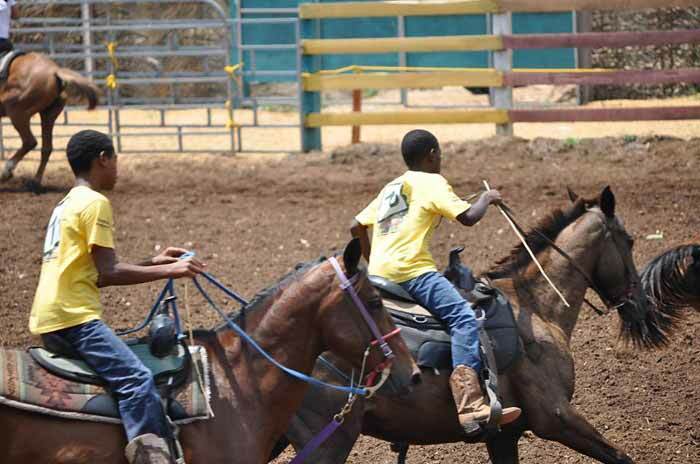 Bring out the entire family to the best annual show in Belize! 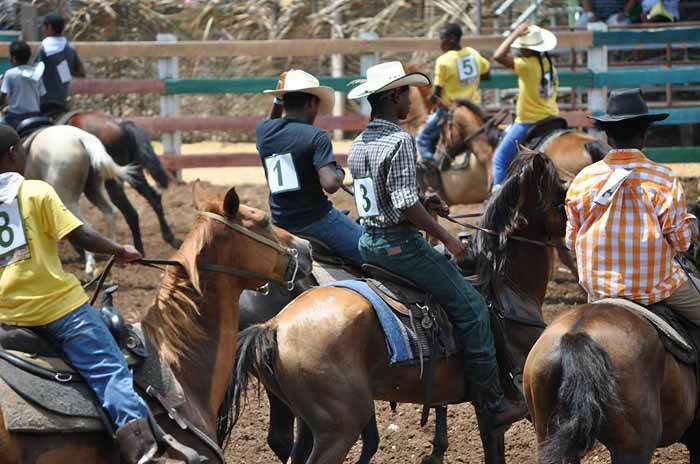 Belize’s largest agricultural show is about to start this weekend. 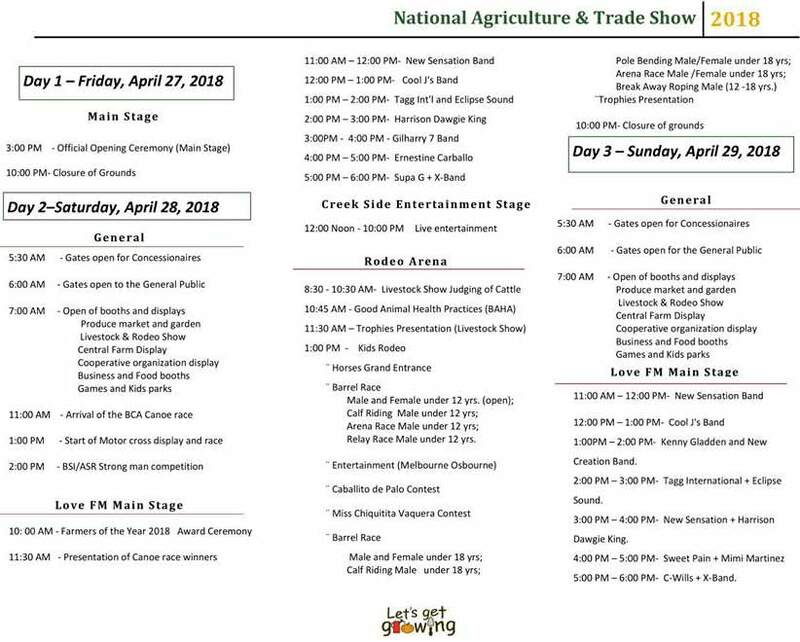 After some four months of planning by the Department of Agriculture, the National Agriculture and Trade Show launches at 3:00 p.m. this Friday, then continues on Saturday and Sunday. The show opens for the public at 7:00 am on both Saturday and Sunday and a number of activities have been planned. 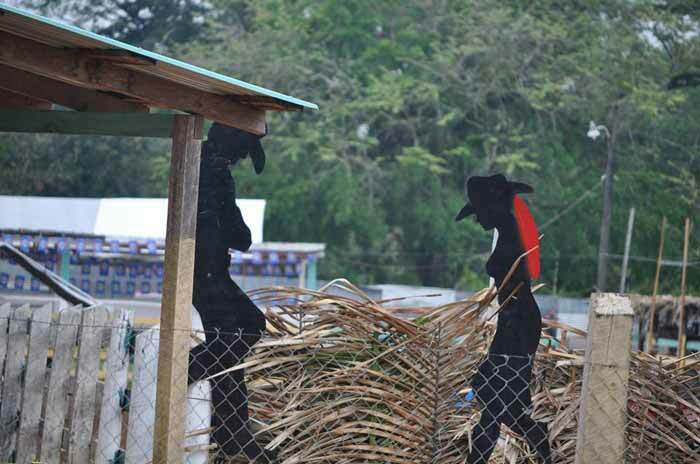 As has been traditional, the show grounds near Roaring Creek Village is being zoned to make it family friendly. Among the attractions this year is that visitors will be able to zip line from tree to tree thanks to a team from Cave Tubing. There will also be mechanical rides, paint ball duels and bouncy houses for the children. This year the agriculture departments from the various Districts will be showcasing techniques for growing crops in confined spaces. 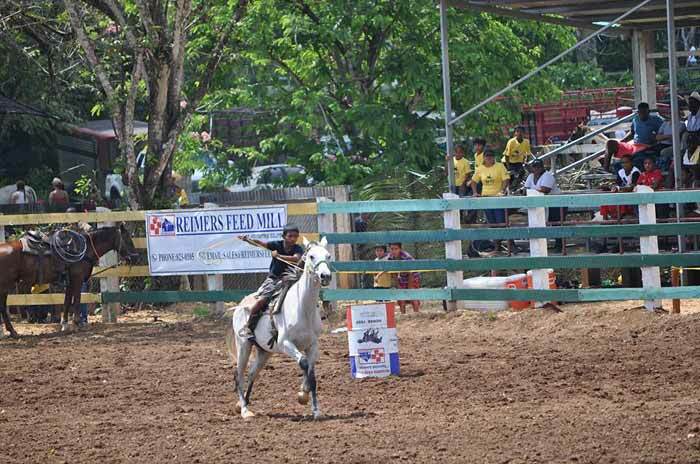 The much awaited rodeo starts at 1:00 p.m this Sunday. Some twenty bull rides will be available until 4:00 or 5:00 p.m. The Belize Police Department held a special strategy session and walk through the show grounds on Tuesday and are committed to the safety of all visitors to the show grounds this coming weekend. 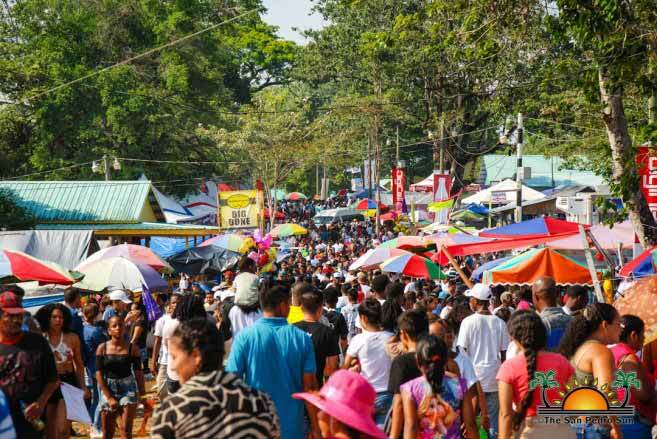 According to Gary Ramirez, Chair of the Planning Committee of Belize’s largest agricultural show, there were some 37,000 visitors in 2016, 38,000 in 2017 and the numbers are expected to jump even higher this year. Here is the 3 day events schedule for NATS 2018. Gates will be open from 6:00 am on Saturday and Sunday to the General Public. There is something to do or see for all so bring out the entire family! 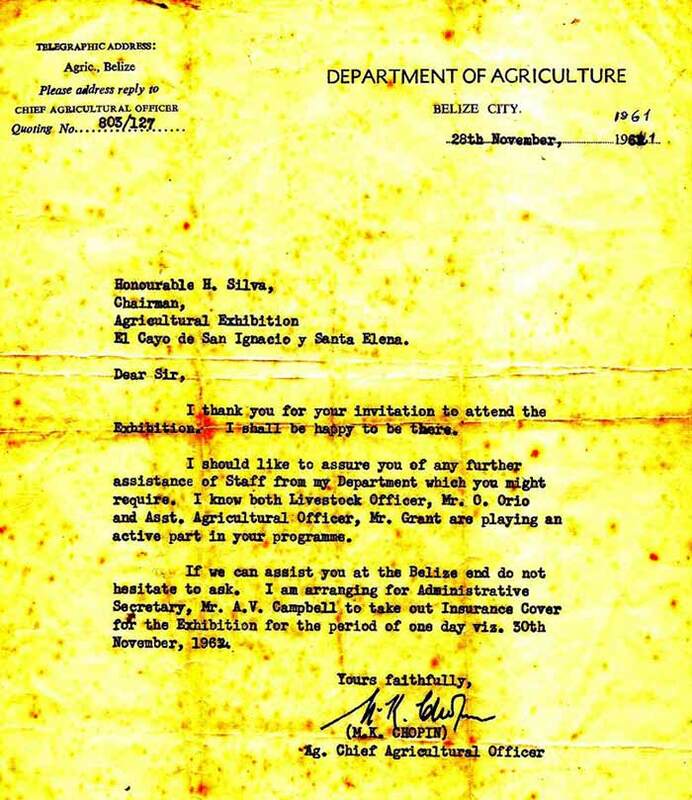 WHY AN AGRICULTURAL SHOW ? and WHERE DID IT ALL STARTED ? Hurricane Hattie in 1961, caused a lot of things. good and bad. Good because the CONSTRUCTIVE BELIZEAN REVOLUTION began in full swing. A Net work of roads to all parts of Belize were built. Electricity was extended to a;;parts of the country. Water supplies were installed in most parts of the country. High Schools were founded in all Districts, with financial help from assistance from government. and other projects. 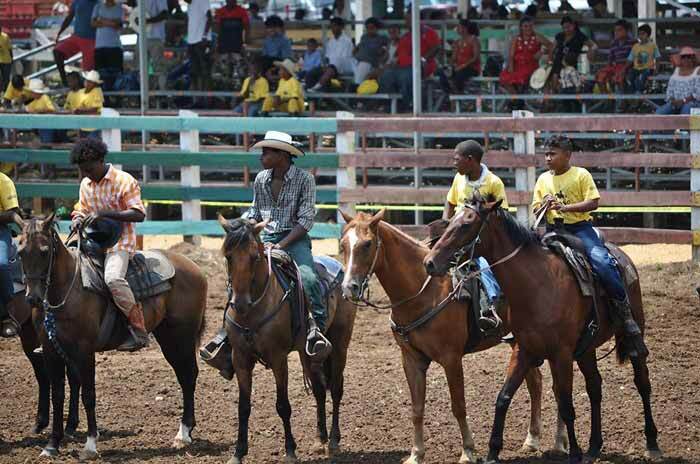 SO, AS REPRESENTATIVES of the Constituencies of the Cayo District, I invited the Hon Santiago Perdomo to assist me in the FOUNDING OF A NATIONAL AGRICULTURAL SHOW, which was a tremendous success. - We established a powerful Agric Show Committee comprised of the various sectors of the Cayo District . - FROM HERE ON AGRICULTURE REPLACED FORESTRY and today the GREEN REVOLUTION predicted by the Honorable Fred Hunter, former Minister of Agriculture ) took FULL SPEED..
We invited many farmers from all over the country and the Fishing Cooperatives and the Citrus and the Sugar Industries to participate, WHICH THEY DID BIG TIME. Pictures of the Ag Fair by Judyann Horton! Best Part of the Ag Fair 2018... 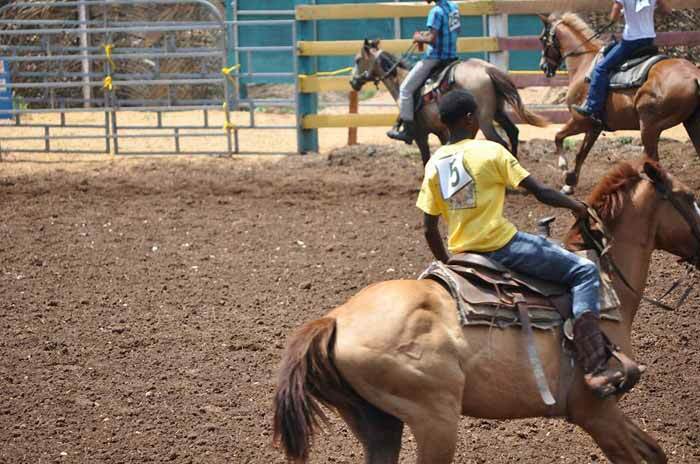 The YOUTH RODEO! These kids were so much fun to watch..... Love my beautiful Belize! Belize’s 48th National Agriculture and Trade Show was successfully held on April 27th, 28th and 29th; bringing thousands together on a “Let’s Get Growing” agenda. 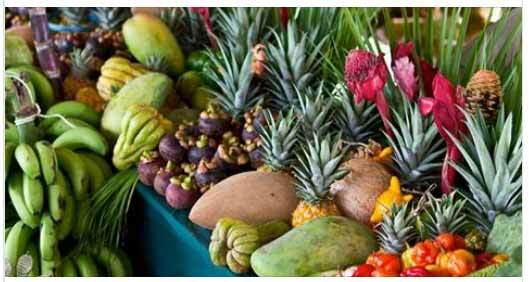 Once a year Belizeans from across the Country come together to appreciate our farmers and learn about agriculture. On Friday, three prominent farmers were awarded at the National Show Grounds for pursuing a life of bringing food to the Belizean table. Male farmer of the Year Mr. Baltazar Campos, who hails from Carmelita Village in the Orange Walk District, joined in with his friend Ms. Lorena Peralta, Female Farmer of the Year. Both also joined in with and Mr. Freddy Orellana, Junior Farmer of the Year for the opening of the National Show in Belmopan. Campos maintains 300 acres of land, tending to his cattle and a number of crops such as sugar cane. Peralta also attends to 30 acres in La Gracia Village and produces chicken for the local market. Meanwhile; 31 year old Orellana oversees six acres where he grows cattle in Bomba. In his speech on Friday, the Hon. Godwin Hulse, Minister of Agriculture thanked his many partners in development such as the Caribbean Agriculture Research and Development Institute CARDI, OIRSA and the Inter-American Institute for Cooperation in Agriculture IICA. He revealed that there were now attempts to export sugar into the Caribbean market. The main speaker at the opening last Friday was Ms. Sandra Bedran from Atlantic Bank, whose career began at the Belize Marketing Board. Ms. Bedran said that we need to assist the small farmers of Belize. She also said that with over a million tourists to Belize, there were now many opportunities in agriculture. During the three day show, the Department of Agriculture had ample time to share with members of the public their innovative composting displays, vegetable and food crops. This year a Logic LTE capable cellular phone could be obtained for $49.00. It was also an opportune time for Digicell to promote its DigiGo App and Diginet. As is traditional there were mechanical rides and a ferris wheel. For those escaping from the heat, there was much shade and nearby delivery points for orange juice to quench the thirst. 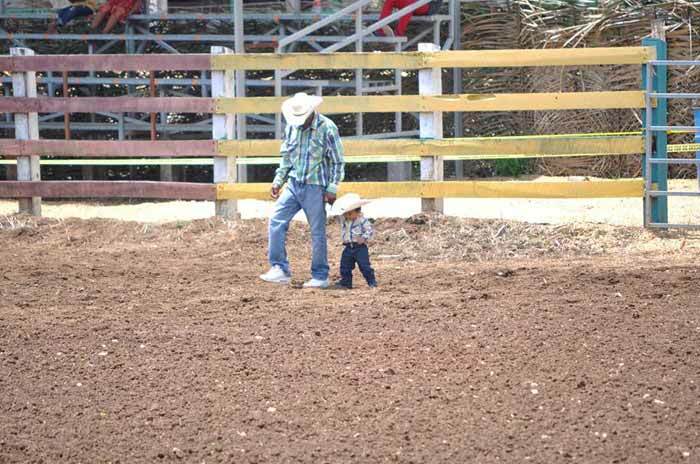 But the main attraction for the three day show was on Sunday at the rodeo enclosure. Cowboys lined up with the Belize flag to play the national anthem for the 2018 rodeo. Some 22 bull riders had signed up. Carlos Hernandez, the bull rider for 2017, returned on the show grounds to show his skills. 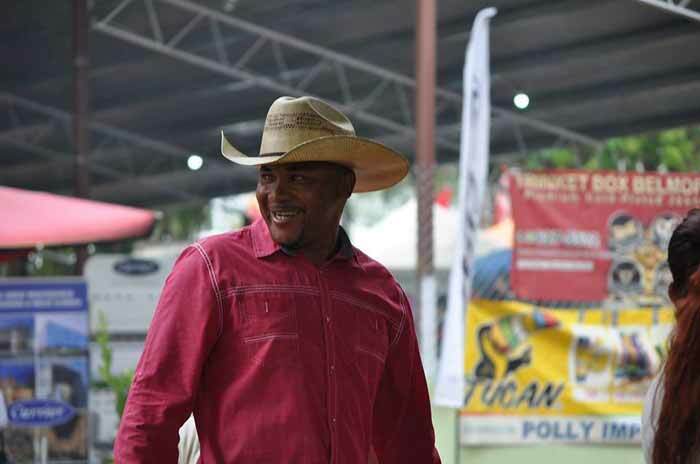 While the results of the show are not in yet, Joel Neal made an astounding display during the rodeo, ensuring a balancing act with the bull. As explained by the judges, the bull can gain up to a 50% mark for its performance. The Ministry of Health was also out in full force at the show grounds at their booths (77 and 78) with free HIV tests and information on Maternal and Child Health, Vector Control and other health related services. J'AerialsPhotography has a nice video of NATS.